We are the supplier of Costco and Walmart; these items are return from them. We sell it as half price after we test the items. We have only limited quantity available and we are base on first come first serve basis. If you have any questions about our products, please feel free to contact us! 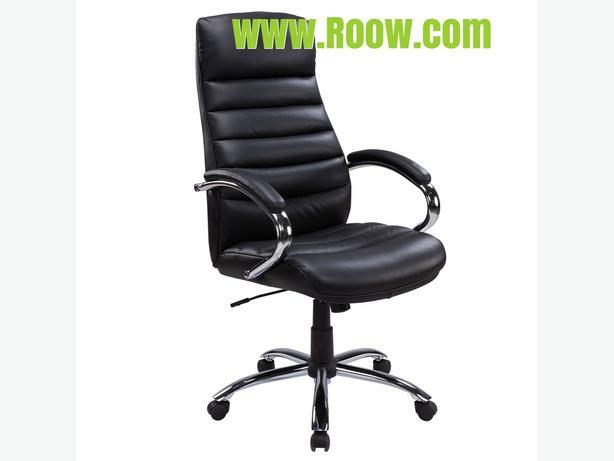 Product Details * Black Bonded leather with matching PVC upholstery with CA.117 FR foam * Chrome armrest with soft pad * Locking tilt mechanism with tilt & tension control * Lant gaslift, class III * R350mm chrome base * Convenient pneumatic seat-height adjustment .